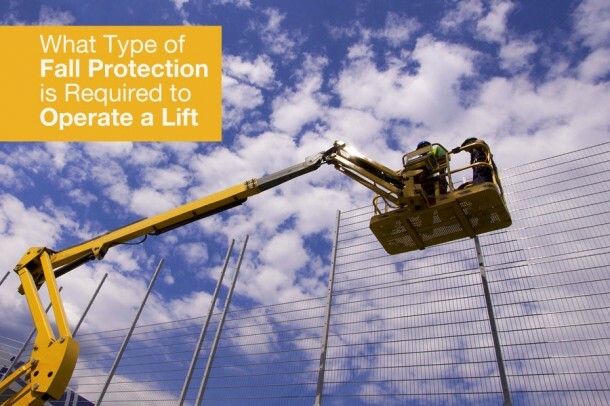 What Type of Fall Protection is Needed to Operate a Lift in 2018? The very fact that you are concerned with which type of fall protection to use while operating a lift already puts you ahead of the game. How often have you seen workers in boom lifts with absolutely no fall protection? I’m willing to bet it’s pretty often. What those workers don’t realize (let’s give them the benefit of the doubt and assume they haven’t been properly trained), is that you are required to be tied-off the moment you step into the basket of a boom lift. How you achieve tie-off may vary, but you must always be tied-off. 29 CFR 1926.453(b)(v) states that “A body belt shall be worn and a lanyard attached to the boom or basket when working from an aerial lift.” Note that there is no qualifier to this statement – no height at which it kicks in, no type of work you need to be performing, no amount of time you will be in the basket. If you are working from an aerial lift, you must be tied off. Body Belts – Aren’t Those Banned? Something should, however, stand out from that paragraph to anybody familiar with safety. The words “body belt” are used here instead of “harness”. 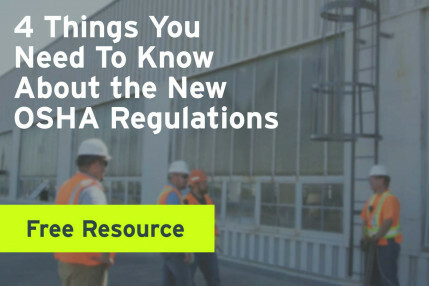 If your initial thought was, “Hey, didn’t OSHA ban the use of body belts back in 1998?” you would be correct – when it comes to fall arrest systems. However, body positioning or fall restraint systems are perfectly acceptable in boom lifts. These systems prevent the employee from being exposed to a fall in the first place and could still utilize body belts. While this is technically compliant, having a body belt available could lead to its use in the wrong situation. Since full-body harnesses are acceptable in all situations, it tends to be safer to only have harnesses available. You may also be wondering why OSHA doesn’t specify the type of lanyard to be used. 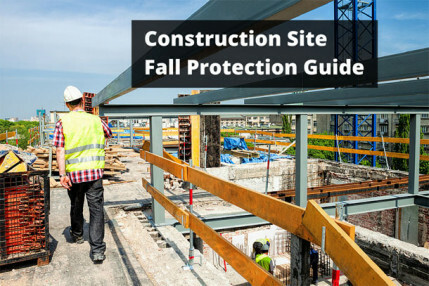 Most workers who are actually wearing fall protection while using an aerial lift can be seen sporting a shock absorbing lanyard despite some safety professionals insisting only retractables or fixed length lanyards are compliant. In fact, OSHA seemed to ban the use of shock-absorbing lanyards in lifts through a letter of interpretation issued in 2009. However, a 2011 letter rescinded the 2009 response. The current interpretation states that the lanyard in use must prevent the user from freefalling more than 6 feet or from contacting a lower level, in line with what 29 CFR 1926 Subpart M requires. The thought process behind the original interpretation was that workers sometimes worked at heights where the necessary 18.5’ clearance for the use of the particular shock-absorbing lanyard in question was not available. The current interpretation basically states that the user must be familiar with the necessary clearance and ensure that a shock-absorbing lanyard is not used if that clearance is not achievable. More important is the force applied to the lift. 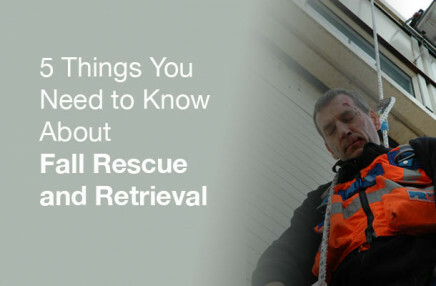 While the harness, lanyard, and anchor point may all be strong enough to properly arrest a fall, the lift itself may not be designed to sustain such forces. The longer the freefall, the more force on the lift. The fall arrest system needs to be designed in such a way that the lift is able to maintain a safety factor of 2 in the event of a fall. This means that the best possible option is a fixed-length lanyard that eliminates the possibility of a fall altogether. Scissor lifts are different. In scissor lifts, OSHA requires that you be protected by fall arrest, fall restraint, or rails. Unlike in a boom lift, the rails of the machine are sufficient protection as long as the user is completely enclosed. In other words, that little chain at the end of the lift MUST be hooked, or the gate MUST be closed, or the slide-bar MUST be down for OSHA to consider you protected. Not doing one of these things is the safety equivalent of leaving your valuables in your car and only locking 3 of the 4 doors. You must clip your lanyard to the approved anchor point only. These are usually steel angles welded into the rail system or rings in the floor. You must not wrap your lanyard around the rails and tie back to your own lanyard, or tie off to the rail directly. You must never tie-off to an adjacent structure or any anchor point outside of your lift. If you are in the lift, you may tie-off to the lift only. There aren’t often many second chances when fall protection goes wrong. Asking questions ahead of time and ensuring the use of proper equipment will take you a long way toward never having to worry about second chances.